Healers using Traditional Chinese Medicine (TCM) have long known the benefits of utilizing the fungi Cordyceps for many ailments. Modern day tests of the fungi Cordyceps have proven its unique healing features when used alone or in conjunction with a traditional series of antibiotics. The Cordyceps extract, while being a powerful and effective medication, is completely organic and natural. 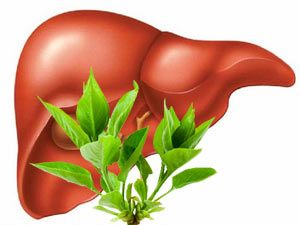 The liver, which is the larges organ in the human body, has also been shown to benefit by the use of Cordyceps extract, increasing the efficient functioning of this organ. Health practitioners in modern Asia use Cordyceps as a natural treatment in addition to more traditional prescription medications and find the fungi particularly useful in cases where chronic Hepatitis B and C are present. In one research study of Cordyceps as a treatment for Hepatitis B, the fungi was used in conjunction with several other extracts from medicinal mushrooms as an adjunct to lamivudine. A common antiviral drug used for treating Hepatitis, lamivudine is typically the treatment of choice for most physicians. However, this study proved that the patients receiving Cordyceps and other mushroom extracts experienced a better liver benefit in a shorter period of time than the control group receiving only lamivudine. In another study consisting of 22 patients stricken with post hepatic cirrhosis, after consuming 6-9 grams of Cordyceps per day for 3 months, all of the individuals in the study experienced dramatic liver function improvement. A study conducted in China in 1994 with 70 patients diagnosed with chronic Hepatitis B and post hepatic cirrhosis were treated with either Cordyceps or another medicinal mushroom, Gandoerma applanatum. In this particular study, 57% of the Ganoderma patients showed significant health benefit, compared to 68% of the Cordyceps group. This study was thought to prove Cordyceps is a better treatment option for liver disorders than Ganoderma. First recorded in the 15th Century in Tibet for its healing factors, the best known species today of this fungi is called Cordyceps sinensis. Most of the nearly 400 species are known to originate in Asia and are currently available from such places as Vietnam, Korea, Nepal, Japan, Thailand and China. Traditional Chinese Medicine (TCM) has long recommended the use of this product to strengthen immune systems and provide the body with resistance to infections, colds and flu. Extracts of this fungi are commonly used by athletes and are frequently recommended as a supplement for the elderly. Jesse I recommend you to see a doctor, I never heard that masturbation causes any sexual dysfunction. Cordyceps may help you to restore normal erectile function but I personally would not expect much. So you say that post hepatic cirrhosis patients, after consuming 6-9 grams of Cordyceps per day for 3 months, all of the individuals in the study experienced dramatic liver function improvement. That means dried cordyceps or…? Hi. My posts are just a summary of research material I found on Cordyceps health benefits. I will try to post links to those papers because more and more people get interested into this. In regards 6-9 grams – the Cordyceps powder was used in the study.